This article originally appeared in the June 2016 edition of Froth Craft Beer Magazine. Whether you’re a thirsty local or curious weekend visitor, there’s no better way to experience Sydney’s craft beer scene than drinking a brew (or two) fresh from the source. 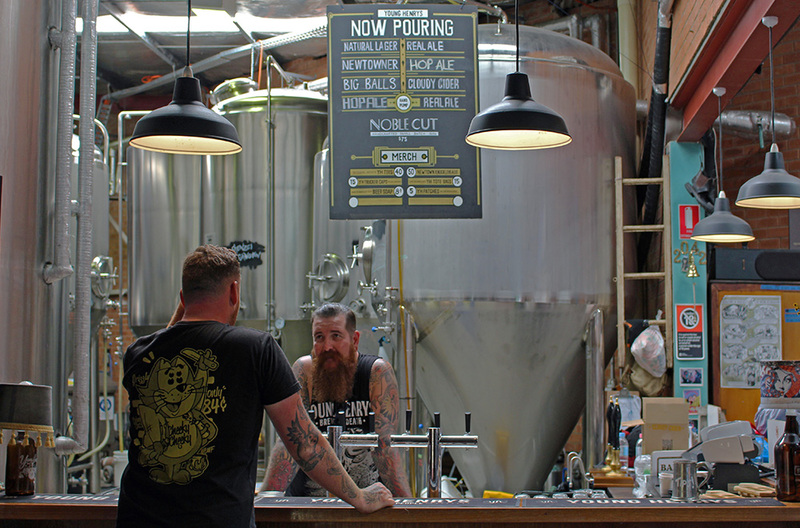 A few kilometres out of the CBD lies the Inner West, home to some of Sydney’s best craft breweries. Many of these are merely a few minutes’ walk away from each other, making a stroll between them the perfect route for a weekend afternoon brewery crawl. The newest addition to the Inner West family, the Grifter’s brewery bar is just a bit further down Enmore Road. The beautifully designed, open-plan space is filled with handmade wooden tables and stools, native flowers and Australiana prints, giving it a refined old-school pub look – something only fortified by the presence of a pool table hidden in a small alcove. Decorated in the Grifter colours of black and orange, the bar serves up a range of brews which taste as good as their accompanying painted metallic tap decals look. This includes watermelon pilsner Serpent’s Kiss, which sold out on opening weekend, creamy and dark The Omen oatmeal stout and of course the flagship brew that started it all, Pale Ale (the beer formerly known as Edward). To take some Grifter design home with you, beers are available in 946 mL gilded squealers, the perfect size for polishing off in one night with a mate (mate is optional). If you’re anything like me though, you’ll probably never fill it with beer and use it to decorate your house instead – they just look that good. Next up is Batch, which requires a left turn on to Sydenham Rd. 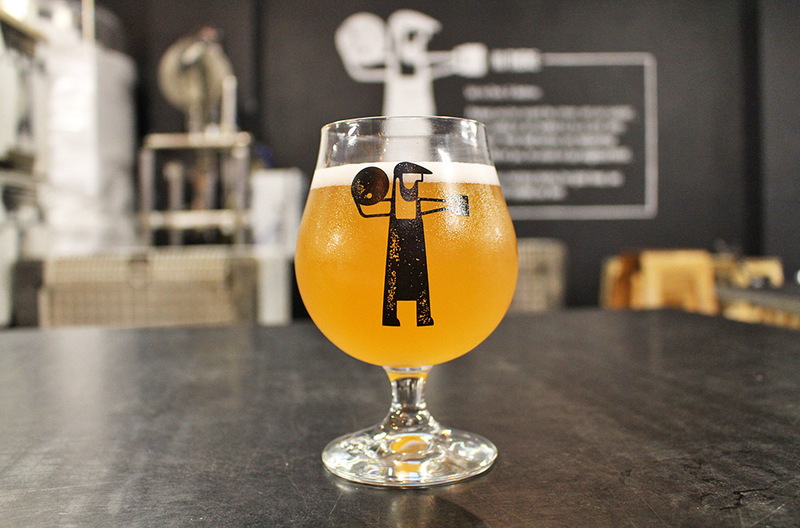 Batch’s name captures the philosophy of their brewing process quite succinctly – they specialise in limited release, small volume brews, which often come with a unique twist. The brewery’s taplist is an ever-changing selection of some amazing styles, which in the past have included beers such as nectarine sour Nectorious B.I.G., coconut brown ale The Big Kahuna and nitrogenated Elsie the Milk Stout, to name a few. Given that they release a new beer on average every 11 days (that’s 70 unique beers by the time they celebrated their second birthday), there’s no telling what will be on tap during your visit. The only thing certain is the availability of their two core beers, an American Pale Ale and a West Coast IPA, styles that USA-born founders Chris and Andrew have long perfected. Still putting plenty of manual effort into the production of their beers, the tasting bar focuses heavily on the theme of handcraft – apparent in everything from the stacked pallet bar, chalkboard taplist and even down to the stamped recycled paper tags hung on the necks of takeaway bottles. This is also the perfect place to grab a snack, with the variety of food trucks outside changing as regularly as the beers inside. Finally, we arrive at the last stop of the day, just past Sydenham train station. Stepping into Willie the Boatman’s brewery is like stepping into a quaint lakeside boathouse, with nautical objects like oars and buoys adorning the white corrugated walls. If sinking into a piece of mismatched furniture in the sun-soaked front room isn’t enough to make you feel comfortable here, then the brewers will certainly do the trick. Friendly and gregarious founders Nick and Pat are often the ones to pour you beers from behind the bar, beers which are primarily named after their friends and local heroes. For instance, plumber Hamish Foo is the namesake of popular golden ale Foo Brew, while the brewer’s mates Todd and Ivan are forever immortalised in Todd’s Trailer Ale and Crazy Ivan IPA respectively. Then, there’s the absolute must try Albo Corn Ale, personally endorsed by local MP turned Deputy PM Anthony Albanese himself. All the beers are brewed out the back of the space in what’s known as the “eBay brewery”, something worth a peek for any avid homebrewer. Made out of second-hand brewing gear and repurposed dairy equipment, it’s testament to what can be done with a bit of creativity and a lot of know-how.